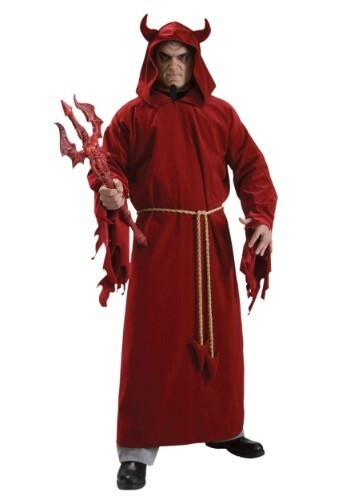 You'll have all the sinners on your side when you wear this Plus Size Devil Lord Costume! You'll look like you came straight from heck itself. In those old scary paintings that depict hell, the demons (and the poor souls who wound up there) are never wearing much clothing, but there's almost certainly fashion in hell, like anywhere else. If you're one of the top demons or the devil himself, you probably where a little something like this Plus Size Devil Lord Costume. Sure, a t-shirt would be more comfortable in a place so hot, but you've got to keep up the appearance of being a cruel mystical dude with misery on his mind. 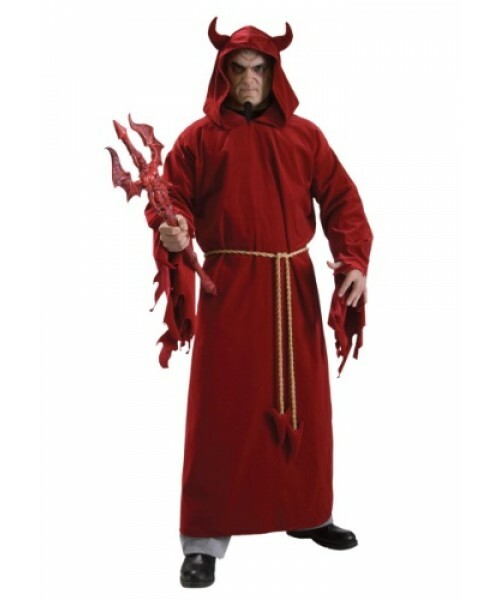 The devil horns, the hood, and the tattered sleeves all make this robe look straight from the first level of hell. Curious what they have to wear on the ninth level? Flannel suit with corduroy neck tie tied tight. It's true!